I put a lot of emphasis on how to connect with attorneys and build strong relationships with them. And now I am turning that around to share what makes a good attorney client. How can you spot a good attorney client? 1. The good attorney client sends a retainer letter with the case materials defining what the attorney needs, saying that the attorney is retaining the LNC’s services in anticipation of litigation or trial, and specifying that the LNC is not expected to testify. (This applies to consulting LNCs who are not experts.) The letter helps to preserve the confidentiality of the work product. The retainer letter should specify a deadline, acknowledge the LNC’s fees for providing this service, and mention if a retainer is enclosed. 2. The good attorney client encloses a retainer and pays a replenishing retainer. If the attorney is backed by an insurance carrier, the defense attorney does whatever possible to ensure your bills are paid as quickly as possible. 3. Whenever possible, the desirable attorney client gives you as much lead time as possible. The attorney may avoid costly rush fees and will get a better product in return if you are not rushed to complete the project. 4. The reasonable attorney does not expect you to drive an hour one way to meet him in the office to go over a case without payment. The question, “You won’t charge me for that time, will you?” is not a mark of a good attorney client. 6. 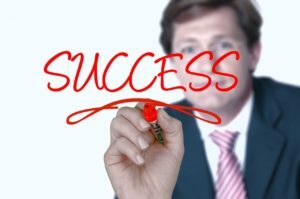 Although the attorney may be pressured to work within a budget or obtain approval from a client before retaining you, the good attorney client is not surprised if you cannot give a precise answer to the question, “What is it going to cost me?” Assignments which sound relatively simple when the attorney first contacts you can turn into major projects. 8. The good attorney client does not expect you to work on a contingent fee basis. This violates both the ethical codes of the LNC and the attorney. This concept can be misunderstood by attorneys in a few ways. The proposal that you receive a percentage of the final settlement is easily recognized as a prohibited arrangement because it distorts your motivation and provides an incentive to do anything to win the case. While this proposal would seem advantageous to the attorney who wants to minimize his fees, it ignores the fact that your services are based on billable hours and not a 25-33 percent contingent fee that plaintiff attorneys receive. You have no control over what is in the records and there is no justifiable business reason for you to accept this suggestion. Another variation of a contingent fee occurs when the attorney settles a case for less than she or he expected, then asks you to reduce your final bill so that the client (and attorney) will keep more of the settlement. This proposal makes your fees, in effect, contingent on how well the plaintiff attorney has been able to negotiate. This is unfair to you since you’ve provided services on a billable hour basis. 9. The reasonable attorney client knows the attorney is the client of the LNC, not the plaintiff. Only the attorney can pay your bills. 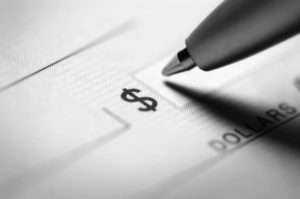 Checks should be written from the attorney’s bank account, not the plaintiff’s. 10. The good attorney client thanks you and gives you feedback on the finished product. The attorney tells you what he likes, found useful, and what you should change the next time. We value that type of information because it helps us continuously improve our services. One of the most valuable tools the attorney possesses is the ability to give feedback to us on how we helped with a particular case. This type of feedback, coupled with experiences, provides you with a foundation for improving skills. Need help developing your LNC business? Let’s talk about my coaching program to see if we are a good fit to work together. Set up a time to speak with me at this link and we’ll explore the options.